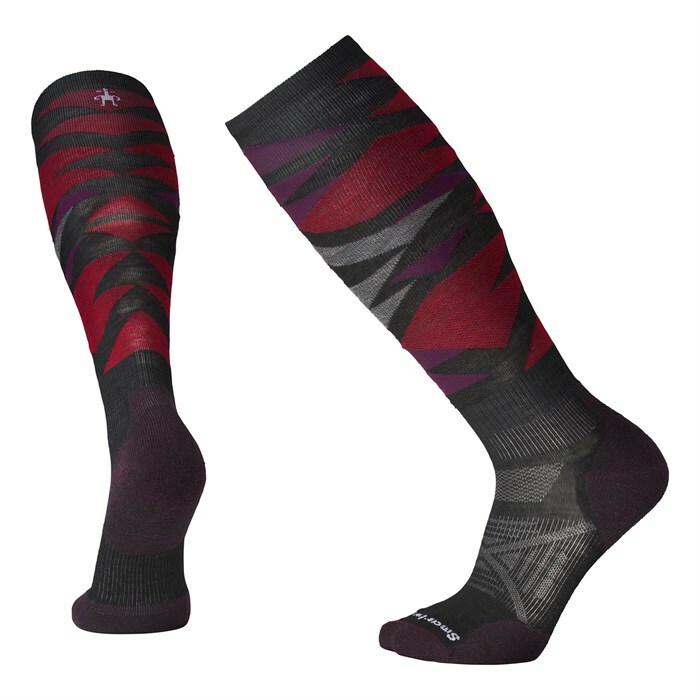 The Smartwool PhD Ski Light Pattern Socks combine moisture wicking and warm merino wool with a nylon structure for durable, stink-free comfort you can count on. Their lighter weight is perfect for riders who use a tight performance boot fit. Light Cushion  Light cushioned sole, shin and calf for impact absorption. Indestructawool™ Technology  Features a patent-pending construction method for exceptional durability and comfort. 4 Degree™ Elite Fit System  Uses two different elastics for greater stretch and superior recovery, as well as to keep the sock in place. Virtually Seamless™ Toe  As smooth as it gets.